Sao Paulo, the largest city in Brazil and the ninth largest in the world, is mired in a severe drought and faces the prospect of water rationing. 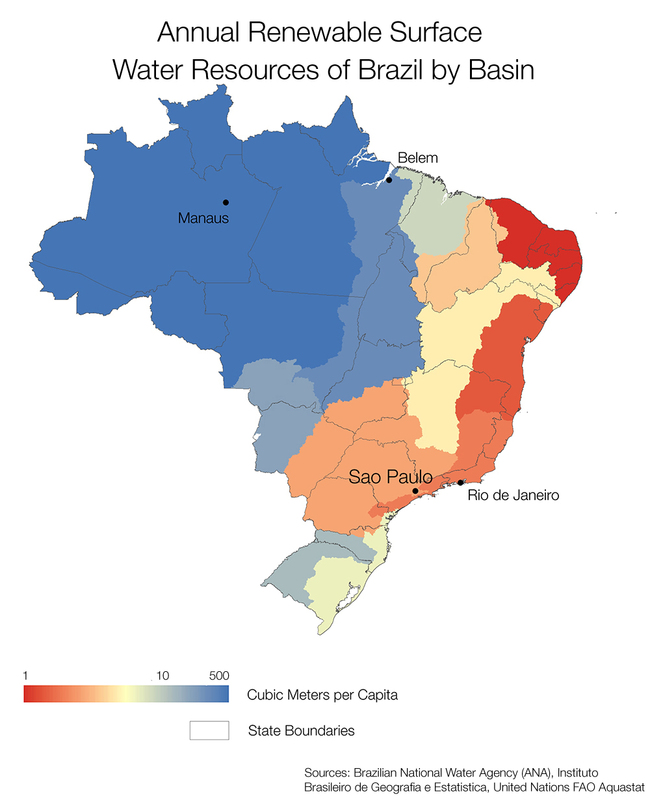 Brazil, as a whole, has extremely abundant supplies of fresh water. Most of these supplies, however, are located in the Amazon basin, far away from the country’s big population centers. In Sao Paulo, this translates into less than 10 cubic meters of water available per person, per year, from the region’s rivers and reservoirs. Graphic © Kaye LaFond / Circle of Blue.